Taipei, Taiwan – October 24, 2017 - ADATA Lighting, a leading LED lighting brand, is pleased to announce its participation in the Hong Kong International Lighting Fair Autumn 2017 edition. From October 27 to October 30, ADATA continues to develop its lighting portfolio with a major focus on industrial-grade product, an area the company predicts will experience considerable growth in coming years. As the largest lighting expo in Asia, the show provides an excellent stage for ADATA products such as the new AURA Audio RGB LED Bulb, and witness its power efficiency, easy set-up of multiple devices, and control, as well as an audio-visual display in combination with high-end audio brand equipment. Based on research conducted by LEDinside in February 2016, industrial applications are the fastest-growing segment in the global lighting industry. Another clear trend is the move to LED, helped by government subsidies and increasing environmental awareness. LED lighting currently accounts for about US$30 billion in revenue annually, expected to rise to over US$52 billion by the end of 2020, with a TAM of over 134 million units. ADATA is well positioned to contribute to and benefit from these developments with AURA RGB, with its integrated low-power Bluetooth and built-in networking bridge, it eliminates all requirements for additional hardware, such as hubs. With a choice of control by smartphone, or dedicated remote control, adjusting your lights is never out of reach. 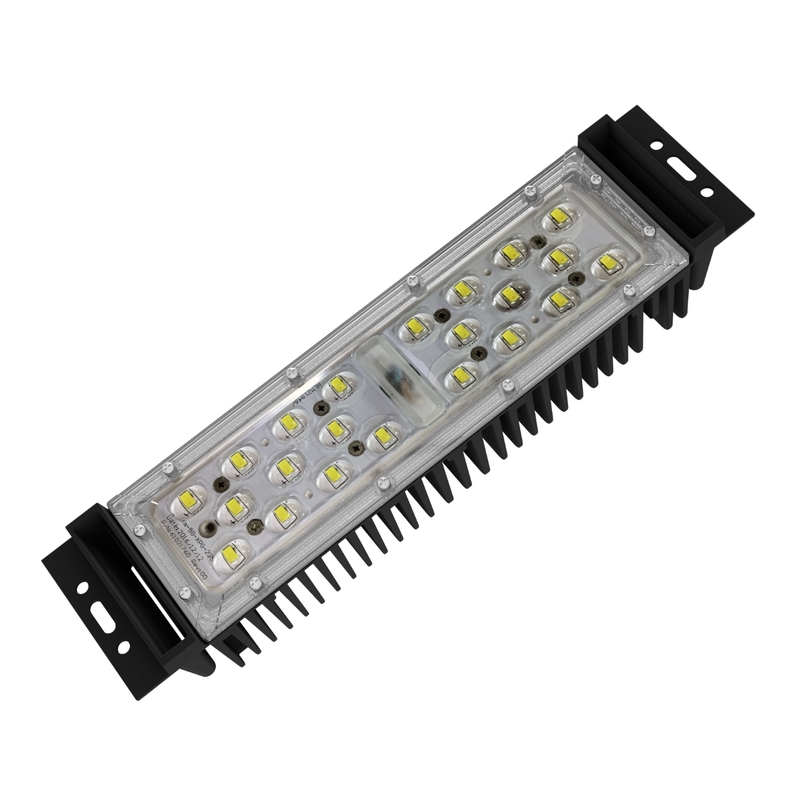 With LED lighting sales seeing strong sales in the United States, as well as Europe and Asia, various market demands also influence LED design. 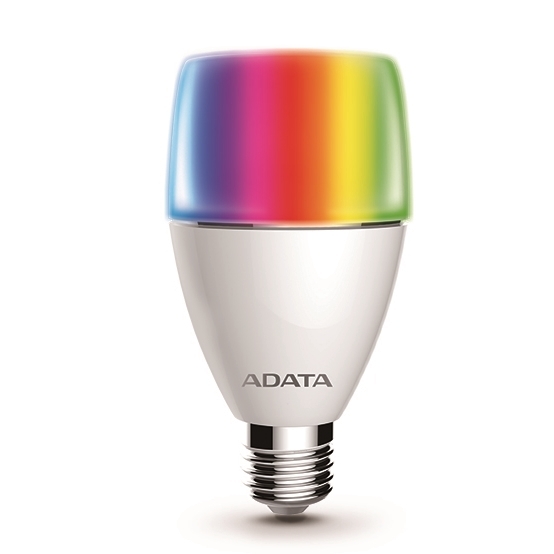 ADATA’s LED light series contains a variety of sockets, like E14, E27 in a variety of colors and materials. 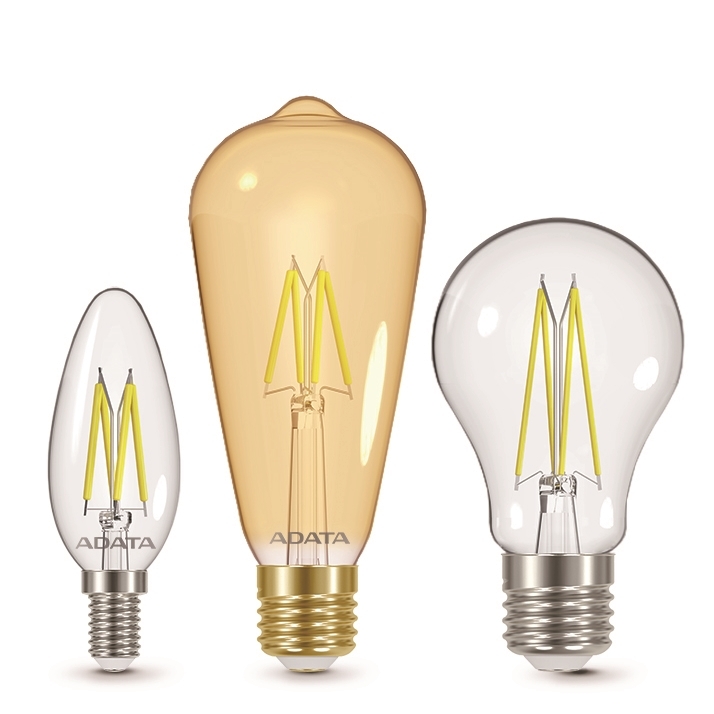 Starting at just 4W, ADATA filament lamps with transparent or amber glass bodies offer a brightness of up to 140lm/W in a color temperature range from 2000K to 2700K. 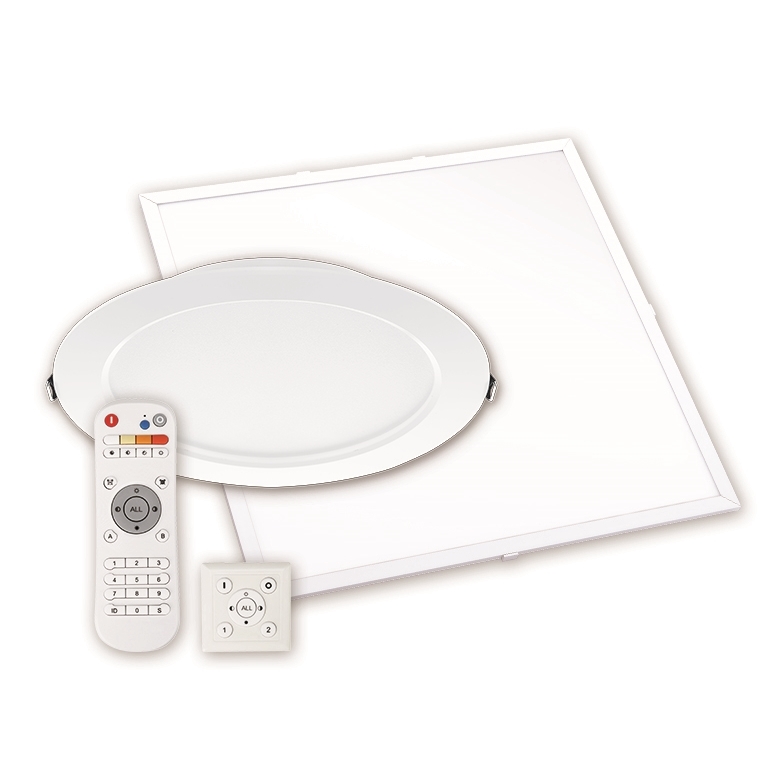 The LED light series uses a patented design and adheres to CE, ERP and other international certifications. ADATA’s new industrial LED lighting module strike a balance of professional optical design, with 7 types of beam angle, and the ability to be applicable in various environments through integrated regulation systems for temperature, anti-fogging. The uniquely designed die-cast body forms an efficient cooling system and is stress and high-temperature resistant. It also has IP65 waterproofing for extreme durability, in addition, ADATA will show even more lighting options for Street Lighting, Flood Lighting, High Bay Lighting, and Industrial Lighting all tailored to the high standards of our customers’s unique demands. ADATA designs and manufactures high quality LED lighting, creating products that are efficient, safe, and environmentally-friendly. ADATA has its own manufacturing facilities, and provides custom OEM/ODM services as a lighting total solution provider with a dedicated research and development team, advanced optical designs, and stringent certification. ADATA utilizes the latest testing and verification processes to ensure the finest quality across our entire catalog – from home lighting to industrial applications. Please visit www.adatalighting.com for more information.